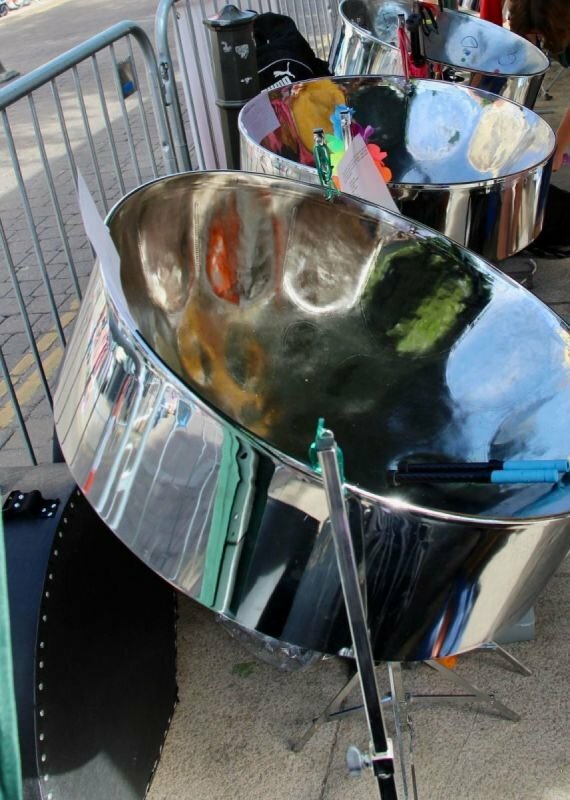 'Spangle' are a steel pan band formed in 2013 and are a group of professional people who enjoy playing playing steel pan music for fun. Spangle band performs across Norfolk primarily between May and October. The band play at public or private events and are now taking provisional bookings for 2019. Steel pans are becoming more popular across the country however the largest concentration of steel pan groups are in London and the larger cities and there are still very few opportunities for adults to experience this wonderful instrument locally. As a result, as well as offering the provision of the band, 'Spangle Pans' now offer a range of services including private and public workshops and team building days. A range of pans are available and can be transported via trailer to any location to run workshops, participate in team building exercises, run short courses, or any other specifically tailored customer events. Whether it be running a workshop with a local community group, offering a 'hands on' experience for a hen party to enjoy or arranging a song for a couple to play at their wedding, 'Spangle pans' can help and we look forward to discussing your requirements with you.